The phrase “mixed martial arts” seems to have been first used in 1993 by critic Howard Rosenberg. This term was used in reference to UFC fighting, and gained popularity. MMA is now a popular, widely respected sport. MMA includes disciplines from various martial arts and Olympic sports, including boxing, karate, jiu-jitsu, muay thai, taekwondo, wrestling, kickboxing and judo. Rounds in MMA are five minutes and there are usually three rounds to each contest. A championship Ultimate Fighting Championship (UFC) fight lasts for five rounds. It is good to note that UFC is the name of an organization, while MMA is the name of the sport itself. While there is the misconception that MMA is just a free-for-all fight, there are actually a lot of rules. The Unified Rules of Mixed Martial Arts is the most used rule set in the world, and all MMA fights in the United States use these rules to regulate the sport. Although MMA does culminate in a fight, there are limits or “fouls” to the play. There is no head butting or unsportsmanlike conduct allowed. Players are heavily penalized for fouls, which keeps the game regulated. MMA fighters are divided into weight classes, from the Flyweights (up to 125 pounds) to the Heavyweights at 205-265 pounds. Fights have three judges who judge on technique, including striking, grappling, control, aggressiveness and defense. The fight takes place in a cage, or Octagon, which is there for the safety of the fighters. The cage keeps any wrestling or grappling contained and protects the fighters from falling. Both men and women participate in MMA, and a fight can end with submission, technical knockout, knockout, judge’s decision, foreit, technical draw, or decision and no contest. MMA continues to gain popularity in the United States, and around the world. In a very basic sense, BJJ is a combat sport that utilizes grappling and ground fighting. BJJ has roots in Judo, but eventually became its own art form through Carlos and Helio Gracie. BJJ is known as “Brazilian” because of the influence of the Gracie family who hailed from Brazil. The roots of BJJ stretch back past the Gracie family to their original teacher, Mitsuyo Maeda. Maeda was one of the greatest fighters in the history of Judo, and retired without ever losing a match. Maeda settled in Brazil and opened a Jiu Jitsu academy in the 1920s. It was here that the Gracies were trained, and went on to open their own academies that focused on developing skills and technique. The Gracie family brought BJJ to the United States beginning in the 1980s. Various members of the Gracie family were undefeated in UFC and other competitions, and it became apparent that traditionally trained fighters were no match for the BJJ style of combat. BJJ remains an important part of MMA, and MMA fighters all have some BJJ training. Our instructorstrace their belt lineage back through the Gracie family to Mitsuyo Maeda. Brazilian Jiu Jitsu has roots in Judo, and is similar to other traditional Japanese self-defense training. The overall strategy of BJJ is to train a physically smaller person to be able to defend themselves against a larger and stronger opponent. BJJ utilizes leverage to amplify force, enabling a weaker opponent to prevail. BJJ has developed methods of fighting while on one’s back, again equipping a weaker fighter with defense against a stronger opponent. 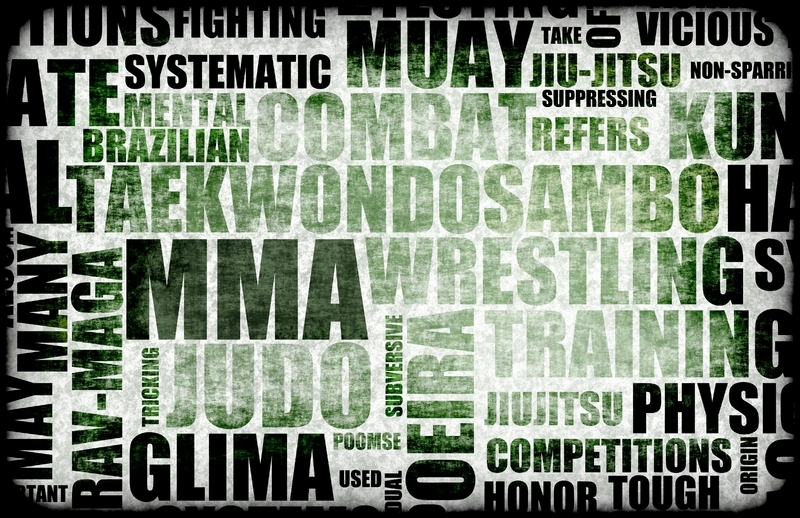 BJJ is divided into three categories: self-defense, free fighting, and sport grappling. Self-defense includes training against an armed opponent and utilizes striking techniques. Free fighting is referred to as “vale tudo”, or “anything goes”, and is what is now the closest to MMA. Sport grappling utilizes all of the holds of BBJ, but there is no striking. Sport grappling awards points for the positions in which strikes could be applied or defended, and this “position-submission” strategy translates well into real world confrontations. The aim of BJJ is to stay safe, advance one’s position, and finish the fight. Because BJJ emphasizes chokeholds and joint locks, the end of a fight does not need to lead to injury. With BJJ you can establish physical dominance without a broken limb. Gaining confidence in your physical skills with BJJ can help you in all aspects of your life, whether you are involved in a threatening situation or not. Learning and training in Brazilian Jiu Jitsu is an essential part of MMA, and can be beneficial to all ages and abilities. Whether you are looking to train to fight in an MMA competition, or just want to increase your abilities and awareness, classes in BJJ are a great place to start. BJJ has long been revered for the physical and mental health it promotes, and the confidence that is instilled in its practitioners. Phoenix BJJ and MMA Academy would love to help you grown in skill and strength through one of our classes. Sign up for a free trial class today!